As the weather warms up, more and more shoppers will come out of their comfort zone and venture into new stores. Now is your chance to increase sales by making sure your jewelry store or boutique is looking it’s best to help welcome new customers. All of your displays and cases should be neatly arranged and ready to impress onlookers. Now is the perfect time to clean your store before the summer heat wave arrives and high season kicks in! It’s important to a count of everything you have in your store at least once per year. It will help you control costs, familiarize with your merchandise, and see firsthand what you need more or less of. Take everything off wall fixtures, display cases, and jewelry displays and give everything a good dusting. Spot clean any stains, spills, or faded areas. Restock on all necessary supplies for the busy season including boxes, bags, cleaning supplies, receipt paper, tissue paper, and jewelry boxes. It’s a good idea to also get more wrapping essentials such as tape, scissors, and ribbons. Make sure all your glass and table fixtures are cleaned with a wood polish or glass cleaner. These displays are the main focal point for many customers so you will want to ensure that everything looks great. Once the foundation of your jewelry store is spick and span you want to handle the task of reorganizing your jewelry displays to attract more customers. Place colorful, summery jewelry pieces in the center of your store. Utilize your glass cases for more expensive pieces that you do not want shoppers touching without an associate’s permission. Memorable summer displays generally incorporate a resort, island feel. Accent your tables, windows, and cases with fun tropical sea glass pebbles, seashells, faux flowers, or driftwood. Linen and white faux leather displays will really let summer jewelry pop. This time of year is always a fun, festive time for your consumers. People want to be reminded of the joy of the summer season. Make your store come to life with the appropriate music as well. Playing upbeat jazz or contemporary island music will give consumers a light-hearted feeling while shopping in your store. Make sure your staff is informed on any special sales and promotions you are hosting for the season and encourage them to engage with your consumers. It’s the small attention to details that will distinguish you from your local competitors. Long necklaces are so in nowadays - so trendy that a lot of jewelry designers and creators come up with different styles and designs that truly inspire a lot of fashion savvy ladies. If you’re a jewelry seller, selling these kinds of accessories will definitely appeal to your customers, especially this time of the year. Summer brings a lot of great opportunity to wear stylish outfits. So before this season officially kicks in, why not get your store ready by displaying unique and trendy long necklaces in your jewelry store. Here are some ways to create a stunning necklace display for your jewelry business. Give your customers some ideas how to wear your jewelry by displaying it through a mannequin displays. Dress it up and accessorize your mannequins for an added appeal and put it in a place where it can be easily spotted by your customers. You can also combine different types of necklaces in different colors to create a stunning multi-strand necklace display. Mannequin display can be used to showcase beaded necklaces, metal chain necklaces or statement neckpieces. When you’re creating displays for long necklaces but don’t have the luxury of space to use a mannequin, you can simply use a bust or easel to showcase your collection. Although it may have a slightly different result, you can chose to loop long necklaces around a bust to create a more impressive display. Accessorize your display by adding ribbons or pairing it up with other pieces of jewelry. When attending trade shows and craft events, it’s important to bring a jewelry display that is easy to install and to take down. With T-Bar display, you can display different jewelry pieces at the same time. Remember to ask your jewelry display supplier about the different types and sizes or T-Bar display so you can be sure to get the right size and design for your jewelry collection. Ready to showcase your best collection? Shop for jewelry displays and supplies on our website. One of the challenging parts of joining a trade show is bringing your jewelry collection from your store or work station to the location of the show. Some jewelry pieces are too delicate and sensitive that it requires extra care and caution. Lack of preparation and proper care often leads to damaged jewelry and will definitely cause a lot of headache to jewelers. If you have been joining trade shows for a while or just a newbie in this business, investing in a jewelry carrier can significantly decrease the stress of transporting your jewelry from one place to another. Most jewelry carrying cases has the protective features you need to keep your inventory safe and organized during transport. Some carrying cases can even serve as a bracelet or necklace display stand for that quick and hassle-free set up. Below are just some of the most popular jewelry carrying cases that will allow you to have a hassle free transport to anywhere you need. Organize your jewelry inventory in a neat and chic way with a jewelry roll. It can hold multiple pieces or necklaces, earrings or even rings. With jewelry roll, you can prevent necklaces from being entangled with other jewelry pieces. The snaps and hooks keep your jewelry in place keeping it from sliding or falling off during transport. Show off your jewelry collection without having to take your jewelry out piece by piece. Presentation folders are easy to use and allow you to put together different types of jewelry without worrying about damages or scratches. A carrying case that can double as a display, jewelry attaché case is a smart choice for handmade jewelry sellers and retailers. The sturdy materials of the case ensure that all your jewelry is properly protected against bumps and pressure. Some of these cases even have combination lock to protect you against thieves. Carry different jewelry pieces in a hassle-free way through this attaché case. Secure your inventory wherever you go. If you’re having problem about transporting heavy or bulky jewelry pieces, this jewelry case with wheel is a great solution to your problem. It can accommodate jewelry trays and cases so you can easily transport your collection in one easy ride. Transporting your jewelry doesn’t have to be stressful. Give yourself a head start by using high quality jewelry carrying cases to let you go to places without worrying about your collection. Visit our website for more jewelry cases and showcase trays. Summer is almost here! And because we will be seeing a lot of colorful jewelry and accessories in the days to come, it’s time to prepare your jewelry store for this fun and exciting season. There are a couple of ways to give your store a quick makeover for the coming summer. You can go as far as repainting your walls and touching up your display shelves or buying new accessories for your necklace display. But if you don’t have the budget and the luxury of time to give your store a facelift, you can still do small things that can surely create a big impact in your business. Here are some fun and easy ways to make your store more summer ready. Instantly turn your display into an eye-candy by just using a colorful table cloth. Just make sure to pick a design that won’t overpower your necklace display. To do this, look for table cloth that can create a contrast against the jewelry in display. The key here is to be creative with your choices. A little experiment will surely help you discover different possibilities that can definitely help bring your display to the next level. Dolls and figurines are just so irresistible that it can easily charm your guests and store visitors. Visit a craft store or boutique in your area and look for dolls and figurines that can look great with your display. You can also get a popular cartoon character from classic television shows or small stuffed animal to accessorize your display. Just remember to keep everything sweet and simple to avoid cluttering your display. Instead of repainting walls, accessorize it by hanging different types of necklaces along with framed art pieces or paintings. This simple trick can add a lively twist to your store and will highlight your jewelry pieces effortlessly. Change your display every week or at least twice a month to keep your store looking fresh and updated. Display bust is every store’s must have. This summer, make it more exciting by dressing it up to suit your jewelry collection. Add scarf, belt or hat to create a summer collection. You can even use sand or colorful beach balls to come up with an impressive summer themed window display. This summer, get rid or ordinary, dull and boring display and create a look that will set you apart from your competitors. By using colorful display trays and cases, you can spice up your store display and make it more exciting for your customers. Sometimes it can be difficult to bring attention to the smaller accessories in your store, especially with prominent shelving or mannequins attracting your customer’s initially. Although earrings and other jewelry can dazzle customers, every now and then they need a little extra TLC to make them really pop. This can be done by the way you present them in a jewelry display. Fashion accessories are always in demand, but with so many fun colors and events happening the summer, it's important to make yourself stand out against your competition. Get your display tables ready for your smaller inventory so your customers can know what your boutique has available. Jewelry displays work wonders for a wide array of fashion jewelry and accessories. If you have more earrings in your inventory then necklaces and bracelets it may be a good idea to scatter them around your store next to clothing to help create an overall look for your customers. A simple way to give all of your earrings the space they deserve is to put them on earring cards. With such a wide array to choose from, every piece of the jewelry can have its own unique backdrop. The different colors, pictures and styles can accentuate each pair of earrings in its own way. When setting up your earrings, you can either match the cards with one another or mix it up with the large variety of options available. Matching them would be more at place for smaller displays, but if you just want to spread them out on a table for shoppers to see, the diversity will intrigue passing customers and reel them in to check out each one. There are so many opportunities for gift giving in the spring and summer with graduations coming up, birthdays, and holidays scattered in the months to come. Not only is this a good chance to show your gift packaging, such as wrapping and tissue paper, but by positioning them near matching earring cards, the present can be very personalized and unique. If the packaging and card suits one another, it saves the shopper the work of having to find wrapping that goes with everything. The recipient of the gift will notice your heartfelt effort and feel extra special on their special occasion. By placing similar complementary color palettes together, you can encourage more grouped purchases, and give your associates a chance to upsell your customers. Get your jewelry displays ready for summer shoppers by giving them a unique punch of color in your merchandise and displays. Making these small yet significant upgrades to packaging and arrangements will make a visit to your boutique a very special memory for many. Some love to mix and match, others want to wear matching jewelry sets. If you’re a jewelry seller, it’s important to give your customers an idea how to play with their jewelry and come up with a combination that can win their hearts. Whether you’re selling jewelry individually or in sets, you can come up with display that gives your customers an idea how to look great with your jewelry. One excellent way to do this is to use jewelry displays that allow you to display different pieces at a time. With the right jewelry stands, you can show off your best jewelry pieces – from rings, bracelets, necklaces to earrings – in an eye-catching showcase. 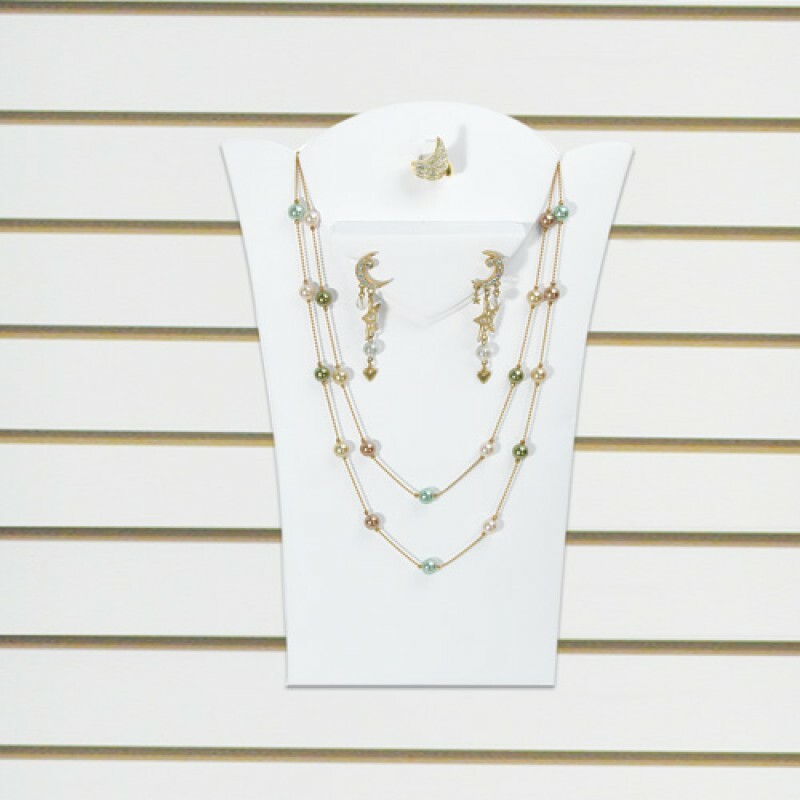 Here are different types of jewelry display sets that you can use in your jewelry business. 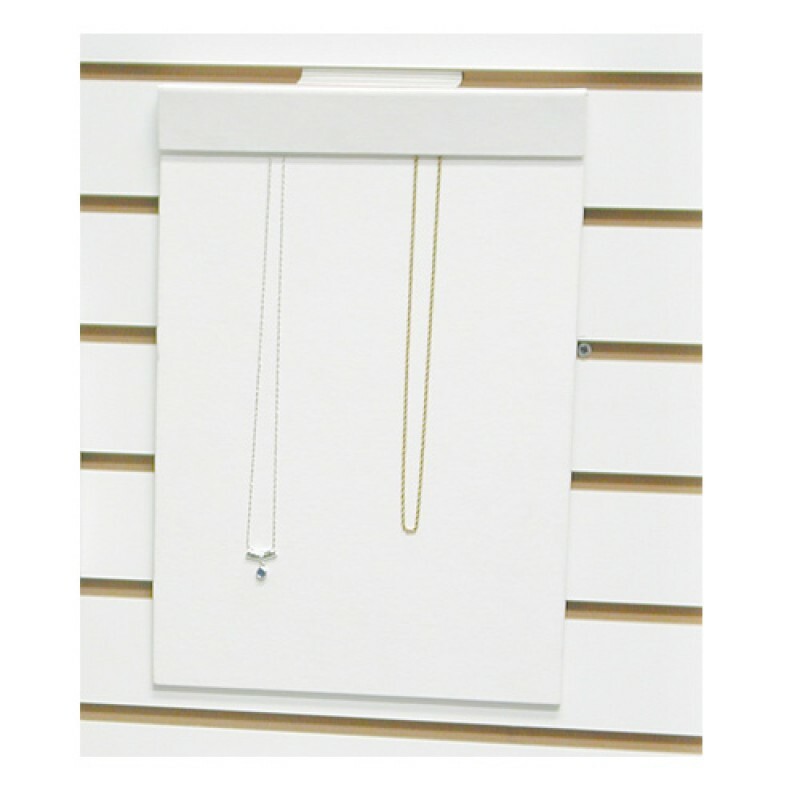 This set consists of 2 earring displays, 3 necklace displays, 3 ring displays and 1 round base. This is an ideal display for a small spaced jewelry store and can display luxury pieces like gold rings and pendant necklaces. The unique shape of this display is a sure standout and can highlight your pieces like no other. Displaying chic and trendy can be easy with this kind of display set. Ideal for beaded necklaces, rings, bracelets and earrings, this 12 piece display set is a fun addition to your jewelry display. Put this on the center of your table when attending a trade show or in your store’s window display to make it more noticeable to your customers. Bring out the elegance of your jewelry collection with this steel grey faux leather display. 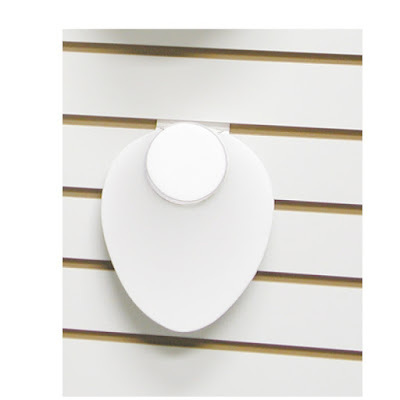 Suited for jewelry stores in malls or boutiques, this display can hold up to 16 pieces of jewelry. If you’re aiming for that contemporary, elegant look this display is an ideal choice. Showcase your best selling items in a neat and organized manner with this complete set of jewelry display. The display has different kinds of ring, earring, bracelets and necklace displays to make your jewelry store a stand out against your competitors. Display wide arrays of jewelry from silver, gold, pearl diamonds or stainless steel jewelry and mix and match to achieve your desired results. When displaying jewelry, it is important to make sure that your jewelry pieces are getting the right exposure it needs to get noticed by your customers. Although selling jewelry individually is a great idea, selling jewelry in sets can let you sell faster. Be creative and imaginative with your displays and your efforts will surely be rewarded. Keeping the work station organized is one of the most common concerns of jewelry designers and creators. Although we all have different opinions on what can be considered organized, we must admit that a neat and clutter free working desk can have positive effect on creativity and productivity of handmade jewelers. Whether you’re just starting to explore the world of jewelry making or have been a part of this creative group of people for quite a period of time, it is still important to develop an organization trick to keep your space safe and efficient. From the way you organize your necklace display cases to the way you keep your materials in check, there are a lot of tricks to maintain the cleanliness of your store and work station. With perseverance and determination, you can enjoy a clutter free working desk despite your busyness. Here are some tips and tricks on how to keep your tools and supplies organized. When you’re just starting to venture in jewelry making, storage boxes and cabinets are just some of the things that you should be investing in. Make sure that your storage boxes are durable to avoid damaging your supplies. It’s also important to know what type of storage box works best for your materials so you can avoid tarnishing. When shopping for jewelry storage box, look for a box that has clear or transparent surface so you can easily see what’s inside without having to open the entire box. Keep everything easy to find by putting labels or tags on your storage boxes. Include the color, description and date of purchase to keep track of your items. You can always develop your own way to store jewelry or ask a fellow jeweler for practical advice on how to keep track of your supplies. Zip lock bags are very useful in keeping your items safe and properly organized. You can use it to secure unfinished pieces so you can continue working on it the next time. It is also a great solution to make sure that strings won’t get entangled with other items or that those tiny items won’t get lost among bigger ones. Are you always worrying about missing scissors or cutters? Make it easy to find by hanging it on our wall. If you can do basic wood work, you can create a space where you can hang your frequently used tools. If not, get the help of your husband or hire a professional to help you create a more organized work space. Need more jewelry supplies organizing tips? Check out our slideshare page! Although spring is more than half way done and summer is upon is that doesn't mean that your products should go without delightful printed gift bags and packaging. With the arrival of warmer month’s customers are looking to be inspired through floral and colorful packaging. This festive look will encourage your customers to be in the gift giving spirit and be more likely to spend more for summer birthdays, anniversaries, and Father’s Day. Packaging is the perfect way to add a little extra seasonal sparkle, glamour, and flair to any gift or purchase. By now, your store’s windows and layout displays should already be decked out with décor and season appropriate linen or wood necklace display stands. At checkout, compliment all your hard efforts with beautiful wrapping that represent your brand, products, and image. With so many choices, we’re sure you can find one what is suitable for your look. You can even make handmade wrapping paper by purchasing plain brown packaging paper and stamping it with leaves. You can purchase hemp string or raffia and tie your packages with this and attach faux flowers and leaves for an extra special look. If you prefer a more polished look go with colored wrapping paper and ribbons that complement a spring & summer color scheme. Some shoppers are likely to go the extra mile for Father’s day or a special event so they will look for gifts that mean a lot to them or have a sentimental value. Sometimes these emotions will also carry on to the wrapping of the gift. Looking for every small detail will be ideal for this transaction. You will want to have your wrapping paper and boxes and make sure you have a wide variety of tissue paper and shopping bags for customers to choose from. Remember the perfect gift is always well thought out and well presented. It shows the recipient just how much they mean to the gift-giver. With your packaging, customers will be very appreciative that you helped them put in the extra effort to give their present more importance and its own special symbolic meaning. Summer is fast approaching. In just a few weeks, fashion savvy ladies will be rushing to accessories and jewelry stores to look for great fashion finds to wear with their favorite summer outfits. While we still have weeks before summer officially kicks in, now is the right time to get your store ready for the new season. One of the most popular accessories during summer is bangles. It’s bold, dynamic and daring that it can easily turn a simple outfit from drab to fab. If you’re selling this kind of accessory, make sure to display it in such a way that it can easily be spotted by your loyal shoppers. Just like you make sure to create a stunning necklace display, giving extra effort to display bangles will surely pay off in the future. Here are some fun ways to showcase different bangles on your jewelry store. Stack it up nicely with a bangle display post. This type of display is so eye-catching that it effortlessly calls the attention of anybody who walks inside your store. Perfect for trade shows and weekend stalls, this display is light-weight yet durable, and up to 8 or more bangles depending on the thickness. Just like the bangle display post, this bangle stand is also a neat and practical way to display jewelry. And because it is made from high quality acrylic materials, you can trust its durability during travels and shows out of town. Plus, it also adds an elegant touch to your jewelry display, making it look more classy and stylish. Take your jewelry display up a notch with this detachable three tier T-bar bangle display. It can display multiple bangles stylishly allowing you to have a more organized space in your store. When joining jewelry parties, this T-bar display also allows you to sort your items depending or styles or colors. Make sure to put it in a spot where it can easily be seen by your customers to give them the opportunity to peruse your collection. When displaying bangles, don’t be afraid to experiment or rearrange your display from time to time. A lovely piece of jewelry deserves a spotlight so just go and make it as exciting as you want it to be. Do you know other ways to display bangles? Share us your tips! If you have been creating your own accessories or giving personalized jewelry as a gift to family and friends for the longest time, maybe it’s time to let more people experience your unique creations. Turning your passion for creating handmade jewelry to a full business can be daunting. But just imagine the rewards of seeing your creations being worn by other people, or being given as a gift during holidays, birthdays and other special occasions. Priceless, isn’t it? If you are ready to take the first step towards achieving your dreams, here’s an infographic that can help kick-start your own jewelry business. Summer is right around the corner and we all know what that means, warm and lively displays are abundant inside jewelry stores. Spring and summer give us a chance to show our creative side with accessories and jewelry. Some accessories make shoppers more likely than to buy in larger quantities due to the upcoming holidays so it is important to show off your best selection. If you don’t want to miss out on sales opportunities we suggest refraining from locking away your inventory behind a glass case. Considering using hand displays is a much more artistic approach at showing your jewelry to consumers. 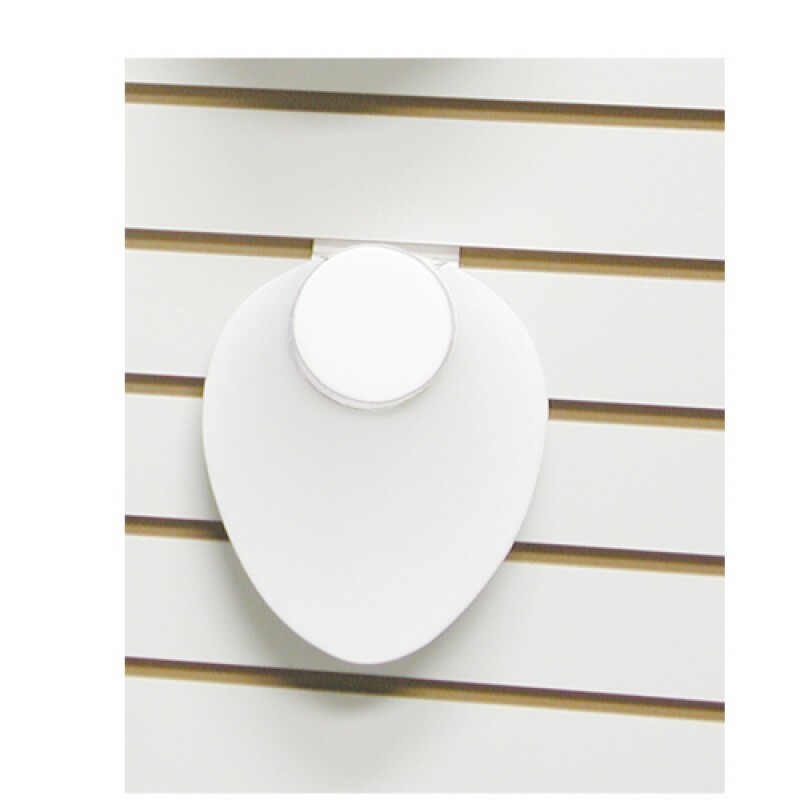 As many now know, hand displays are the future of jewelry displays for many shops and booths. In spring, incorporating nature is the best approach to really making your jewelry displays stand out among the rest. If you are willing to put forth the extra effort you can create some visual masterpieces. A table adorned with leaves, vintage looking hand displays, and floral décor. We love the unique hand displays such as those with elongated fingers and arms. Popular rings to showcase this season include colored gemstone rings, flower rings. For more surreal displays you can incorporate spot lighting, flower garlands, and acrylic displays. Your unique combination of details will help amplify your jewelry. When it comes to creating memorable displays, a little creativity can go a very long way. Position your other existing fixtures in a different way to make your space feel open and inviting. Boost your accessory selection to the forefront and let them take center stage. 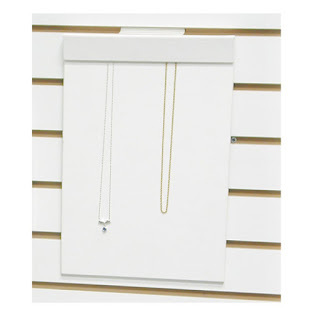 Take advantage of the wide variety of hand necklace displays available in various finishes such as white acrylic, faux suede, and black polystyrene. A touch of other personal appeals will make customers feel a deep desire to purchase your jewelry.